The new Camry Hybrid brings with it new styling, as part of Toyota’s new design language. Noticeably, the designers have been able to lower the hood and roof of the car resulting in a more lithe silhouette. 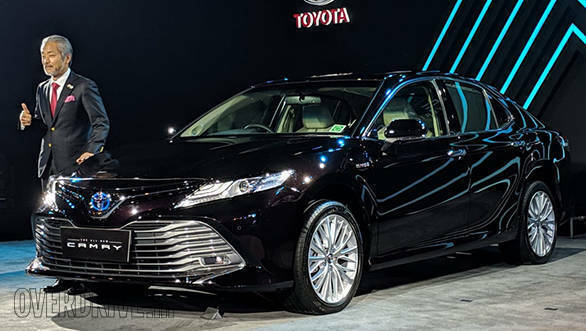 From the front, the grille and sharper headlights, not to mention the lower section of the bumper with chrome slats, help widen the face of the Camry. In profile, the 18-inch alloy wheels complement the large glass area, and the roofline. Around the rear is where the new Camry Hybrid stands out with its slimmer, longer tail lights. 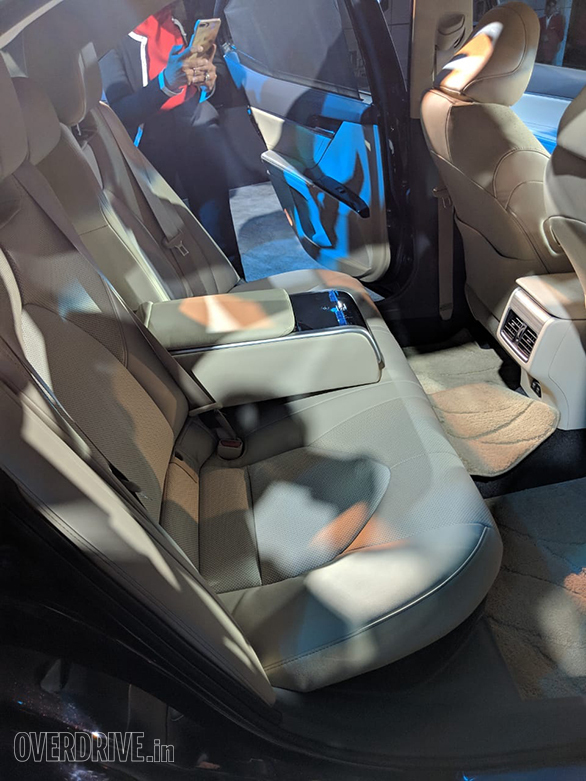 The interiors are all-new, with a focus on the driver, as seen by the central stack that’s angled towards the driver’s seat. An eight-inch touchscreen takes centrestage and incorporates the latest standards of connectivity, with a nine-speaker JBL hi-fi system. In terms of safety, nine airbags is standard. The 2.5-litre petrol hybrid powertrain largely remains the same, but carries minor updates with the VVT system for a slight bump in power and rated fuel efficiency. As it stands, the petrol and electric motor combined, now outputs 218PS and 221Nm of maximum torque, while ARAI-certified efficiency is 23.2kmpl. Of this, the electric motor can contribute 202Nm of maximum torque from idle speeds and above.